You won’t believe what I did recently, but I completed and raced my first half marathon. Last year in June, I decided and committed to do a ½ marathon. (When I decided this I had NO IDEA what I was committing too – I had never run neither was I into exercise). My first attempt of doing this half marathon was back in November in Santa Barbara and the day before the race I felt sick! (I had not fallen sick for so many months and years). (Talk about resistance) and my trainer suggested I don’t do the race (I felt like a failed). Again I was going to do it back in March this year, but then it was my best friends’ wedding the day before and I was a bridesmaid and I honestly didn’t want to get up and run 21k early in the morning the next day (Again I felt like I failed). 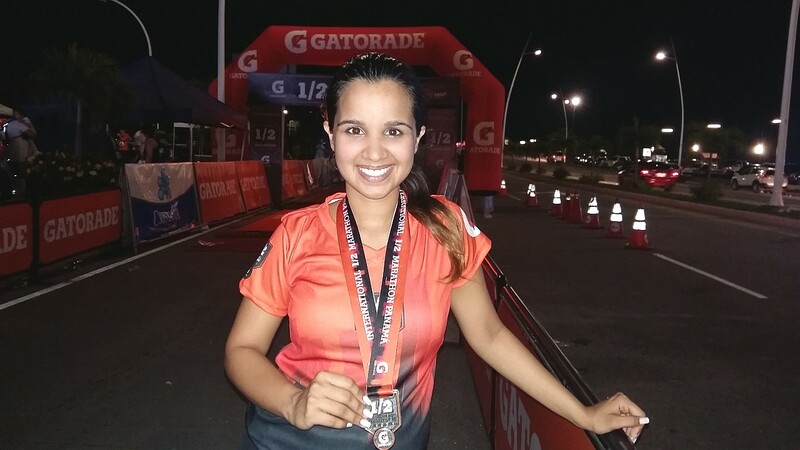 Then in April I felt like a loser – like I had given up and I was reminded again why I had decided to do this so I signed up for the next half marathon in Panama which was in July. Sticked to my training plan and just DID IT. When I was reaching the finish line the day of the race – tears were running through my face. That FEELING that I had actually done something even though I had ‘failed’ many times and thought was ‘Impossible’ before is INDESCRIPTIBLE. It reminded me of a truth: You can’t FAIL if you don’t give up and keep going. So wherever you are in your business don’t give up. And YOU WILL cross the finish line. This entry was posted in Blog, Newsletter and tagged commitment, marathon, race, resistance.